ENVIRONMENT CLINIC ON RECYCLING OF HAZARDOUS WASTE AT 11:00 AM ON 30.9.16 AT VIA 2ND FLOOR CONFERENCE HALL Friends GPCB and VIA is taking continuous initiatives to help the industries to improve their process to reduce the waste generation and to improve the quality of the treated waste. Several Environment Clinics were arranged earlier for various industries sectors for the same. With the support of Recycling Solutions Pvt. 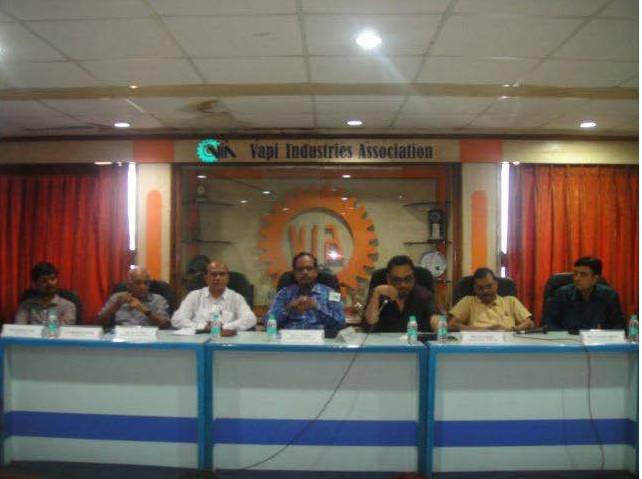 Ltd. (RSPL) GPCB and VIA has arranged an Environment Clinic to make the Industries Members aware about the solutions to recycle the solid, semi solid and liquid generated at the industrial units and convert it into solid or liquid alternative fuel. 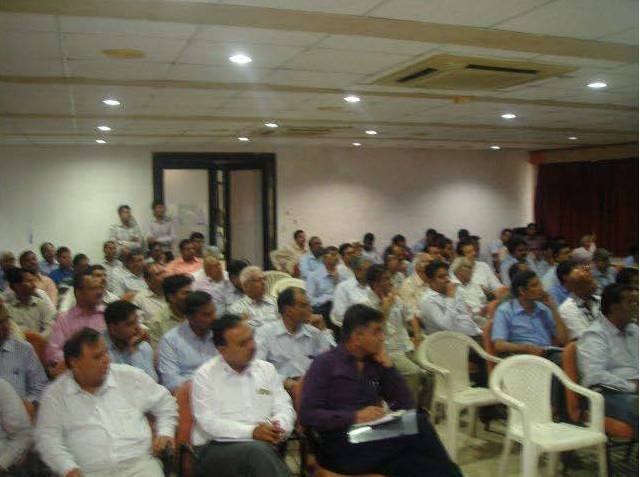 The Environment Clinic was held in the presence of Shri T B Shah, Vigilance Officer, GPCB, Surat, Shri A G Patel, RO, GPCB, Vapi, Shri G V Patel, RO, GPCB, Sarigam and the officers from GPCB, Shri Fahim Sopariwala, Vice President of Recycling Solutions Pvt. 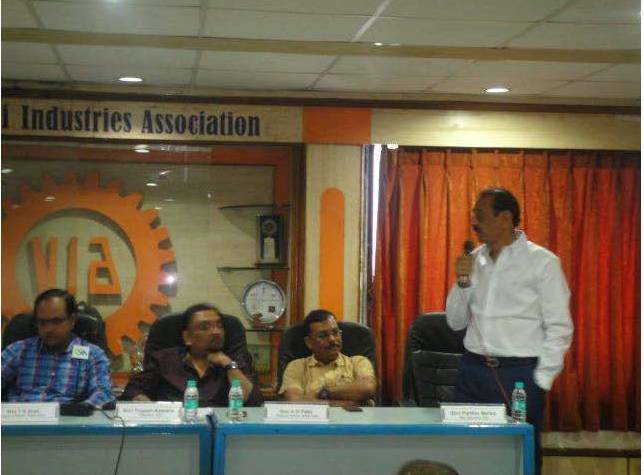 Ltd. (RSPL), Surat, Shri Yogeshbhai Kabaria, President, VIA, Shri Parthiv Mehta, Hon. Secretary, VIA, Shri Magan Savalia, Jt. Secretary, VIA, Shri Mahesh Pandya, Director, VGEL, Shri Chetan Patel, Director, VGEL, Shri Shirish Desai, President, Sarigam Industries Association. 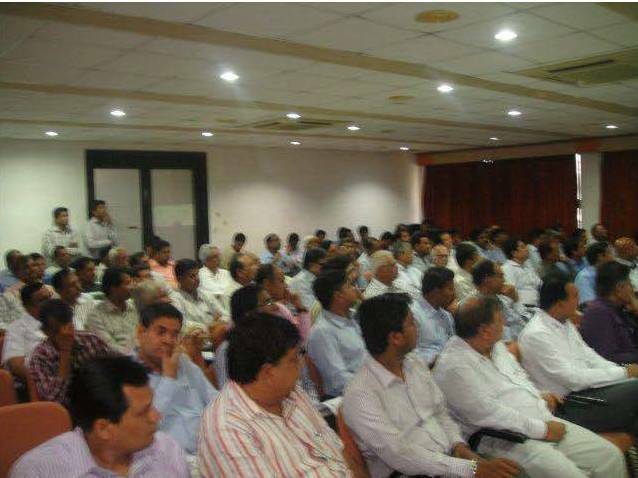 The clinic was well attended by over 115 industries members from Vapi, Sarigam, Pardi and Valsad. This clinic will surely help all the industries members in improving the environment of the estate and surrounding areas to generate further sustainable growth in the coming days.